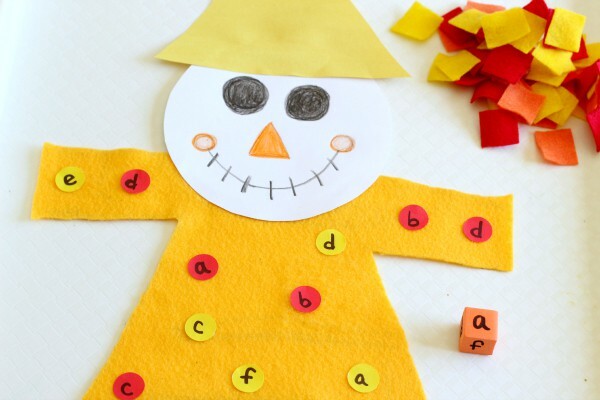 This roll and cover scarecrow alphabet activity is so cute and super effective! 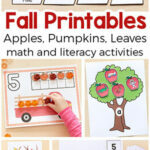 It is a great way to learn letters this fall! My son is really into scarecrows right now. I know it sounds funny. He just had to have one in our yard this fall and gets excited every time we pull in and out of garage and he spots it. 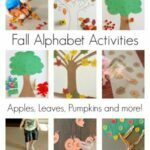 So I decided to make a scarecrow alphabet activity for him. Draw a shirt on one felt sheet and cut it out. Draw pants on another sheet of felt and cut them out. 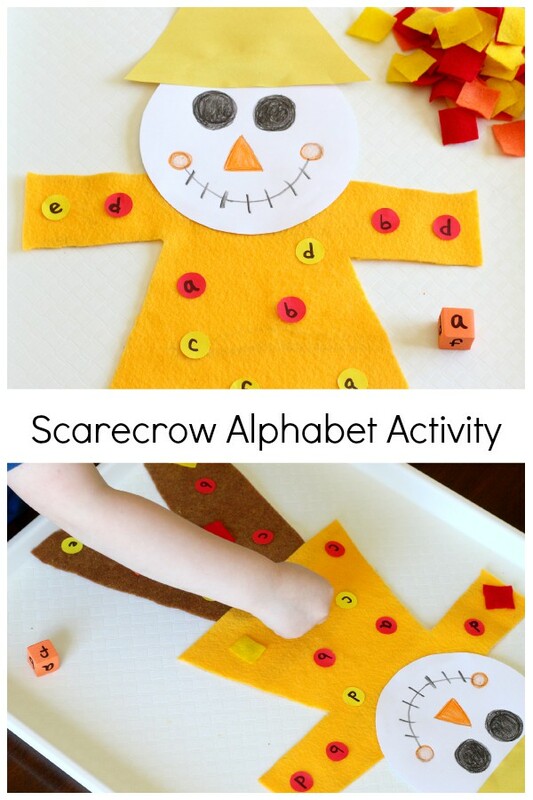 Cut out a circle from the white construction paper and draw a scarecrow face on it. Cut out a triangle from the yellow construction paper. This will be the scarecrow’s hat. 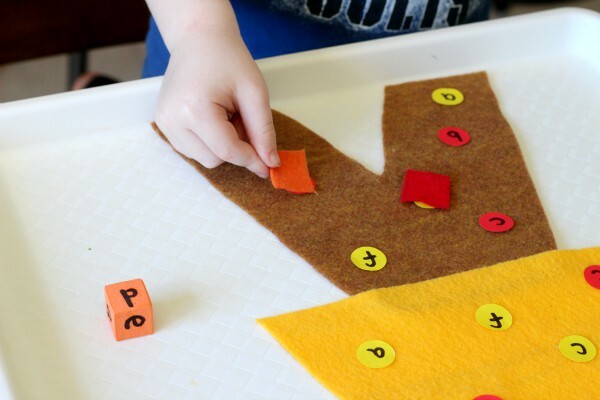 Take 3 more sheets of felt in different colors and place them on top of each other. 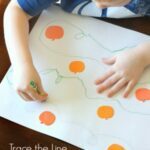 This allows you to only make your cuts once for all 3 sheets instead of doing each sheet separately. Cut a few 1″ strips lengthwise down the sheets. Then cut across each strip widthwise in 1 inch increments. This will leave you with squares of felt that can be used as patches. Glue the hat, scarecrow face, shirt and pants together and let dry. Pick 6 letters you want to work on and write one on each side of a foam cube with permanent marker. 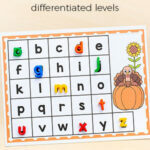 Write one letter on each dot sticker and repeat several times. Stick the dot stickers on to the scarecrow’s pants and shirt. My son rolled the letter die and identified the letter that was facing up. 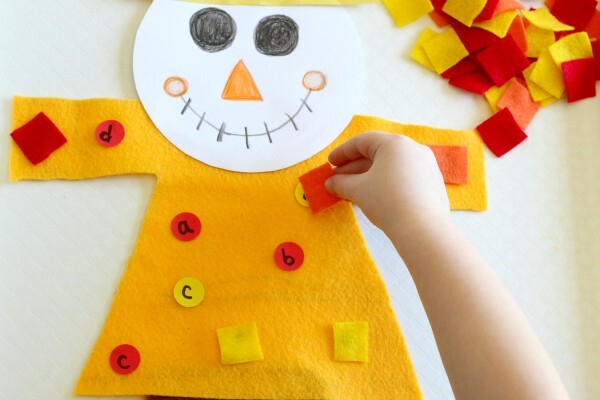 Then he located that same letter on the scarecrow and covered it with a felt patch. This continued until all of the letters were covered. It does take some time to make the scarecrow, but I was able to do it in about 20 minutes while watching TV after the kids went to bed. 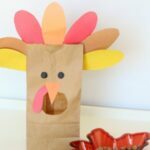 I like that I can use it again and again for other scarecrow activities too. 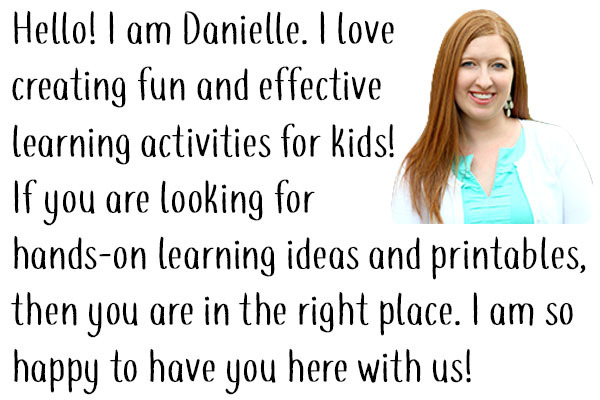 I even used it in my upcoming Pre-K Pages contributor post which I will link to here when it goes live! While playing with my son, I made a point to also say the letter sound for each letter as he was covering it with a patch. 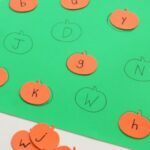 We even came up with a bunch of words that start with the letter each time. It was quite effective!